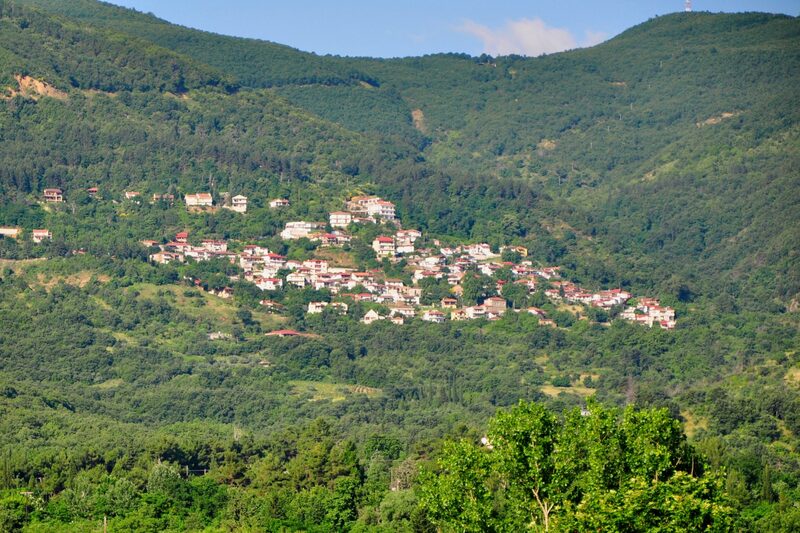 Moschato is from Karditsa about 15 Km and it is built at an altitude of 450 m. According to the census of 2011 the village has 438 residents, 100 of whom live in the village permanently. The residents work in viticulture, agriculture and tourism. The former name of the village was Vlasdo. There is a reference to the village in an inscription in 1673 at the abbey of Petra. There is also another report about the existence of the settlement named Vlasdo, at a Prothesi of Barlaam Monastery at Meteora (around the year 1500). The village was burned by the Turks in 1854 and the Germans in 1943. It is the hometown of the litterateur Serafim Tsitsias. At his literary works, and especially in his book “The Unwritten of Pindos“, there are interesting folklore information for the life of the inhabitants of the village and the wider region. There are taverns, traditional cafes and guesthouses. The visitors will find a unique view and cool breeze during the summer months and warmth during the winter. There is also a wide variety in dishes, local wine and tsipouro, low prices and friendly services all over the year. 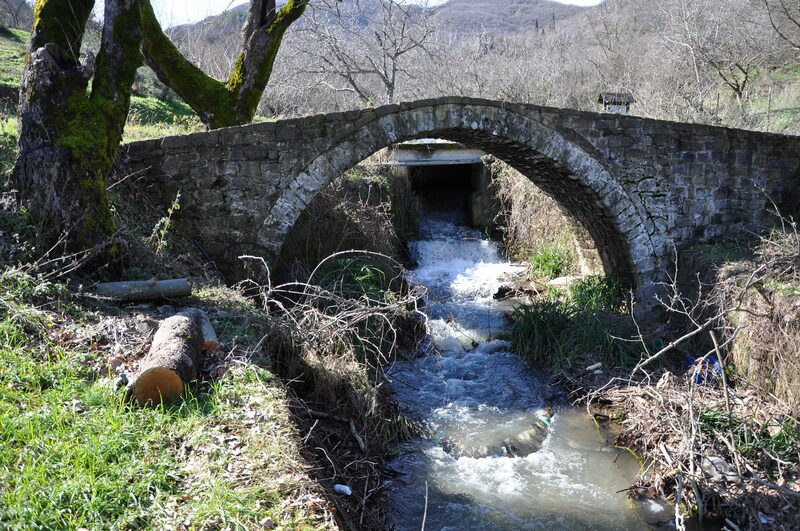 On the outskirts of the village, on the road and next to the new bridge, there’s an arched stone bridge which is dated in the late of the 18th century or at the beginning of the 19th. The size of the arch of the bridge is 6 m and its height is 3 m. It has a total length of 10 m and a width of 2.20 meters. 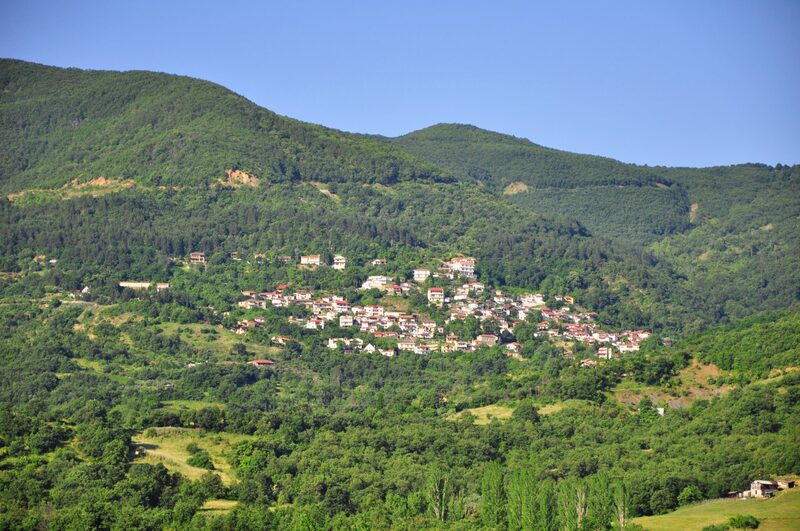 The village is surrounded by evergreen forests and the adjacent peaks of hills that offer a stunning view in the vast Thessalian plain. 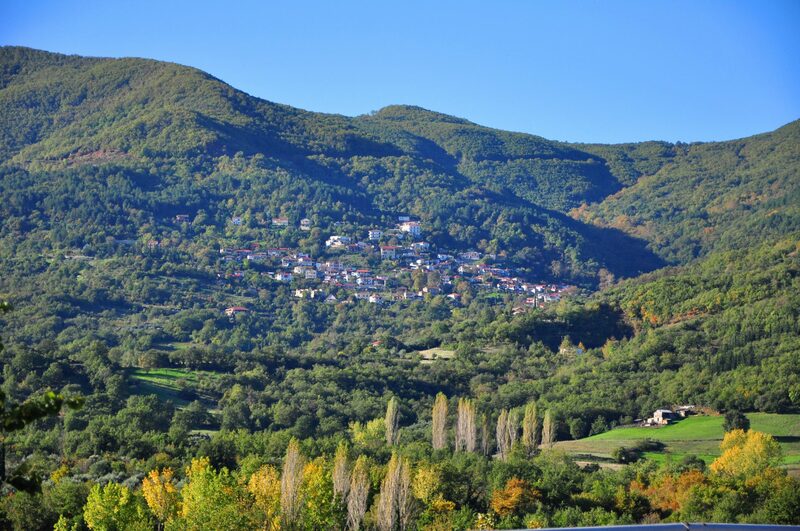 Going up to the narrow and winding road to the Plastiras lake, the view is prodigious. In the evenings, the rich and colorful lighting of the immense plain of Thessalia and the yellow bright line of metallic conductor, create a feeling of the uniqueness and make the journey enjoyable. The Plastiras Lake, Tsardaki and the abbey of Holy Crown are located 3 Km away from Mosxato on an altitude of 800 m and just a few hundred meters from the “Tsardakobrysi”. Religious festival in honor of Saint Tryphon at the 1st of February. Religious event – Feast of the Profet Elijah at the 20th of July. Annual Gathering of the people who come from Vlasdina at the First Saturday of August.